The problem of face photo retrieval using sketches constructed based on a description provided by a witness is discussed. The status of this problem from primary concepts and the used terminology, to modern technologies for constructing sketches, real scenarios and search results is reviewed. The development history of systems for constructing facial composites (identikits and sketches) and the ideas realized in these systems are provided. The task of automatically searching through a database of original photo images using a face sketch is discussed, and the reasons of low performance of such search in real-world scenarios are brought to light. Requirements to databases of sketches in addition to the existing benchmark face databases and also methods of creation of such databases are formulated. 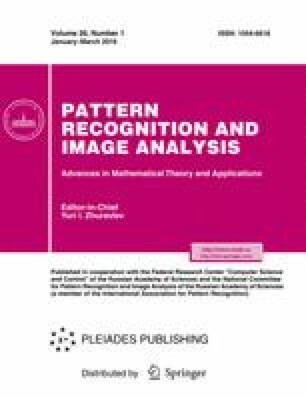 Within this framework the methods for generation a population of sketches from the initial sketch to improve the performance of sketch-based photo image retrieval systems are discussed. A method to increase the index of similarity in pairs sketch-photo based on computation of an average sketch from the generated population is provided. It is shown that such sketches are more similar to original photo images and their use in the discussed problem may lead to good results. But for all that, the created sketches meet the requirements of the truthful scenario as allow possibility of incomplete information in verbal descriptions. Results of experiments on CUHK Face Sketch and CUHK Face Sketch FERET databases and also open access sketches and corresponding photo images are discussed. Georgy A. Kukharev born in Leningrad. Received Ph.D. degree (1997) from the Fine Mechanics and Optics Institute (Leningrad, Russia) and Doctor of Technical Science degree (1986) from the Institute of Automatics and Computer Facilities (ABT, Riga, Latvia), Full Professor (2006). From 1993 he works at Szczecin University of Technology, Faculty of Computer Science and Information Systems (Poland). From 2003 he works at Saint Petersburg State Electrotechnical University LETI, Department of Computer Software Environment. In 2001–2003 visiting professor of Ecole Centrale de Lyon, Department of Mathematics and Computer Science. Since 2005 visiting professor of Hanoi University of Technology, Department of International Training Programmer. Author of more ten monographs, over 100 scientific papers, and over 44 patents in the areas: computer architecture of signal processing, image processing, and pattern recognition. Current interests: biometrics, including face detection and face recognition, Face/Sketch Retrieval. Yuri N. Matveev Ph.D. (1985) and D.Sc. (1995) degrees in computer sciences from St. Petersburg National Research University of Information Technologies, Mechanics and Optics, Russia (ITMO University), Russia. From 1985 to 1995 he was a Senior Researcher, Associate Professor and Postdoc with the Department of Computer Engineering in the ITMO University. He worked as a Lead Consultant in the North-West Investment Center (1999–2005), a Project Manager and Head of the Speaker Verification and Identification Department, Speech Technology Center Ltd. (2008–2011), St. Petersburg, Russia. From 2011 he is a Chief Researcher in the STC-innovations, and a Professor of the Department of Speech Information Systems and a Head of the International Research Laboratory “Multimodal Biometric and Speech Systems” in the ITMO University, St. Petersburg, Russia. He is the author of two books, more than 80 articles, and more than 15 inventions. His research interests include speaker recognition, face recognition, multimodal biometrics. He is a member of the International Speech Communication Association from 2012 and member of IEEE from 2014. Nadegda L. Shchegoleva was born in Komsomolsk-on-Amur. Received Ph.D. degree (2000) in Saint Petersburg Electrotechnical University (LETI). From 2001–2006 she was Senior Researcher in Federal State Unitary Enterprise Central Research Institute “Morphyspribor” (JSC “Concern” OKEANPRIBOR"). From 2007 she is a associate professor in the Department of Software Engineering and Compute Application (Saint Petersburg Electrotechnical University “LETI”, St.-Petersburg, Russia. Co-author of two monographs, 4 inventions, more than 60 scientific articles. Her research interests include biometric identification systems and access control systems, face recognition, synthesis and modeling of the recognition systems.